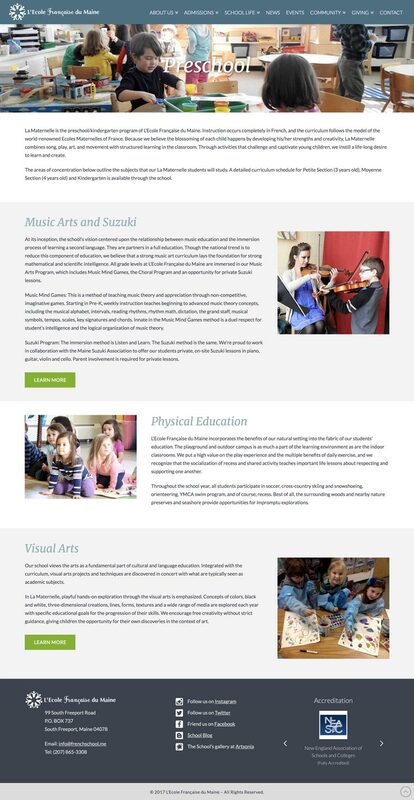 New website design and programming for l’Ecole Française du Maine. Child theme of the X-Theme. 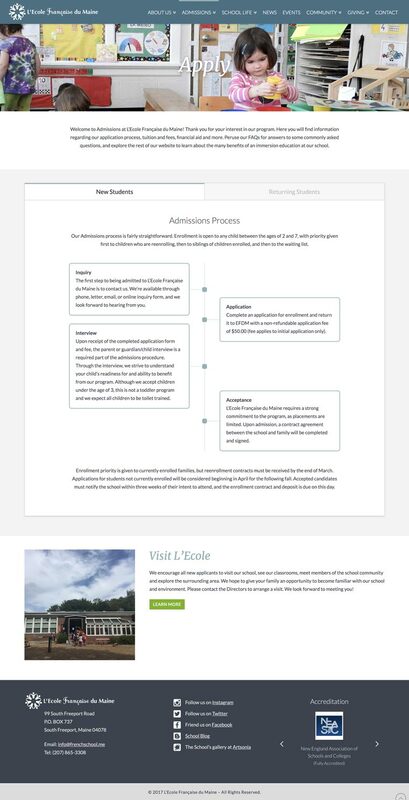 Cecile did an amazing job designing our website, she really listened to our needs and made a website that was perfect for us and easy to manage. Her personal attention and timely responses made her very agreeable to work with and we are thrilled with the results!